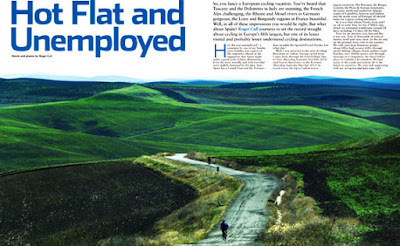 Bicycling Australia´s story, “Hot, Flat and Unemployed” by cycling journalist, Roger Cull featured our challenging road bike route, Lakes, Mountains & Sea tour as a highlight trip on an around Spain journey. From summit to sea, we can´t help but agree with Roger that it is a stunner. 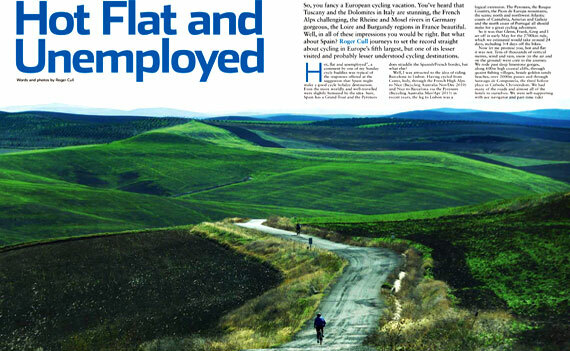 The white villages are scattered across rolling hills of olive groves, cork trees and vineyards… So what better way to move through this fairy tale landscape than by bicycle? Nine years ago Maggi Jones and Geoff Norris, she a Canadian and he a pom, moved to Alhama de Granada, a small town near the centre of Granada Provence which is in turn near the centre of Andalucía Region. …. We chose a self-guided tour. Apart from the obvious cost saving, the Cycling Country (CC) concept of a self-guided tour is a winner;.. following a route that has been carefully crafted to take in the best of the countryside and local towns but avoids the busy roads (which from our experience in northern Spain are not always obvious from road maps). Materials supplied are comprehensive; maps, corner by corner, turn by turn written directions, even the route loaded into your GPS (or onto a CC GPS), plus maps and brochures on towns/sights/attractions en route… A stunning ride of around 600km over six days. We punctuated our tour with a couple of days in Granada (city)to visit the Alhambra and to ride the Pico de Veleta… There’s no need to recount our ride day by day or hill by hill. 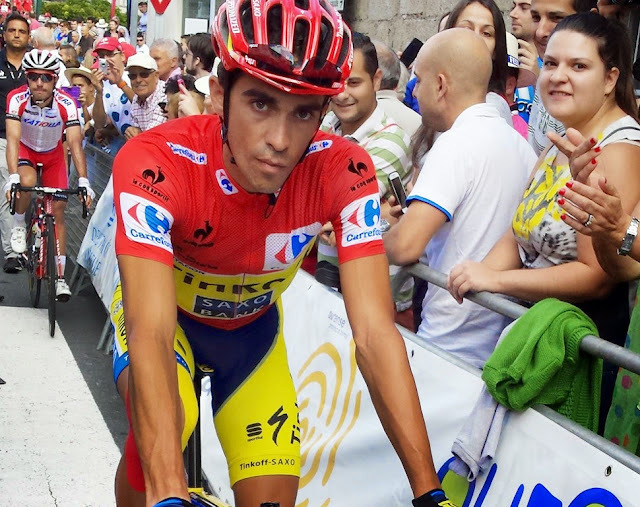 Suffice it to say that it was a feast of the aforementioned white villages and stunning landscapes, liberally peppered with challenging climbs and thrilling descents, the best of which, and one of the best you could ever ride, is on the last day. .. An unforgettable finish to a cracker of a tour. 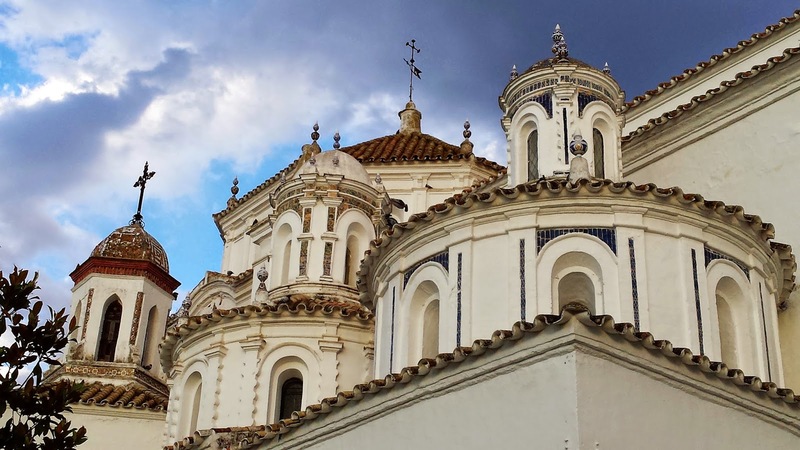 A week on a CC self-guided tour in Andalucía would be the perfect way to stretch the legs and the lungs when you’ve had about enough of European cathedrals and museums. Or string two or three together and really settle into the lifestyle. And if you don’t feel like taking your own bike then use one of CC’s collection of good quality 27 speed Orbeas and Treks. Bring your own shoes, peddles and saddle and it might almost feel like your own bike.